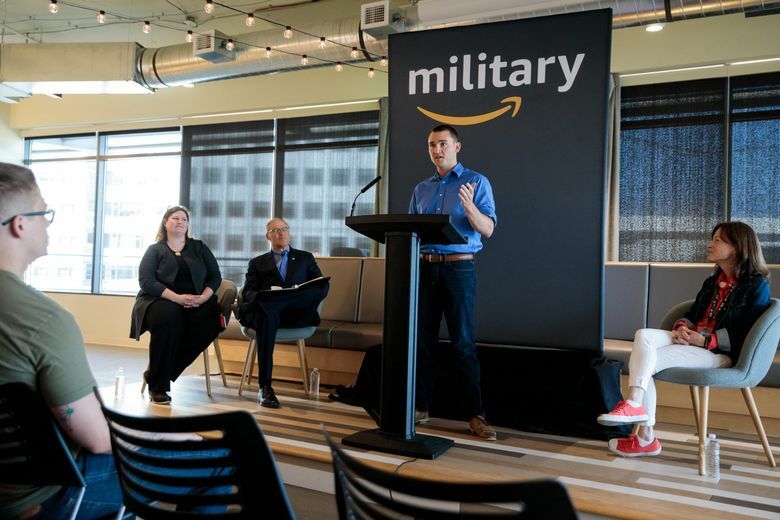 Amazon on Wednesday held a graduation ceremony for its first five graduates of a pilot program to train veterans for technology jobs at the retail and cloud-computing giant. Mike Cooper and his four colleagues in Amazon’s inaugural class of veterans-turned-technologists won’t make a dent in the company’s roughly 17,000 job openings. Read more Amazon and Amazon’s HQ2 plans.